Valentine’s Day is will be here so soon! Have you stocked up supplies yet? Here are a few that I can’t wait to add to my party closet! So so cute! I want to have a galentine’s day party so I will definitely need a few of these. What a sweet, simple garland. fyi, i just grabbed those exact same heart straws from the dollar spot at target yesterday! How sweet! This collection of goodies is getting me in a party mood. Thanks Holly! It should be updated now. I almost forgot that St. Valentine ’s Day is in a months! This holiday is really beautiful, because it is full of love and joy. My house is always generously decorated with red hearts and roses! Some new ideas of décor would be really nice. 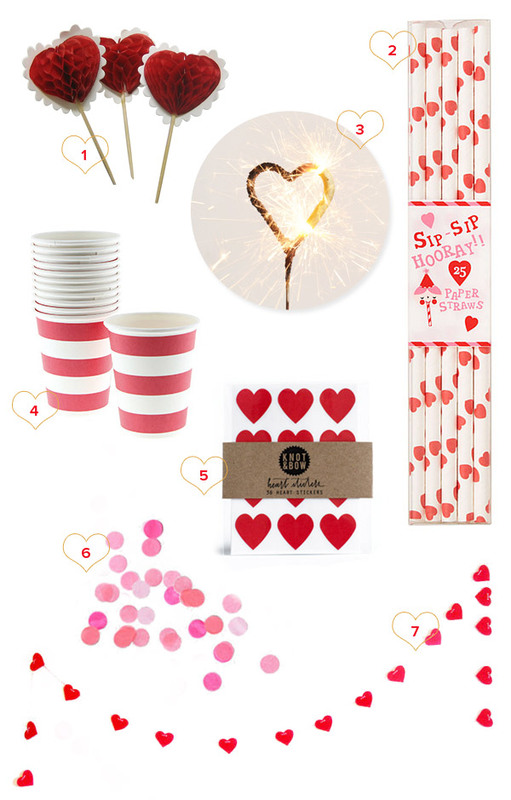 Find some more supplies for valentines parties and more on our website! I really like those heart straws for whatever reason. Never been a big fan of V-Day myself, but for some reason the straws seem really cute! In the next valentine’s day i am going to organize a party and i will try do decorate my party like this. I have got a nice idea from here. Great Thanks !! Really exciting about the valentine party which will be soon after some time. Everyone is just planning of a blast at that night. The products in the blog are so cue and nice.